Week 11 was a poor one for the FANFOOD 2 for 2. Out of 4 starts, none of them were quality. 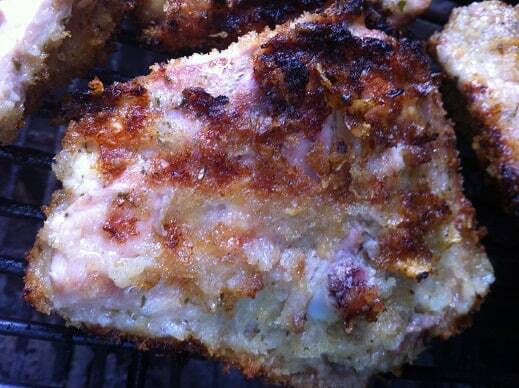 Here are the results followed by a great recipe, this time it’s Extra Crispy Grilled Chicken Thighs. Mike Minor was unable to factor into the decision Sunday night at home against the Angels. The right-hander permitted three runs on 11 hits and one walk while striking out six over five innings of a 7-3 win. Minor has not won a decision over his last five starts. Over that span covering 29 1/3 innings, he’s 16 earned runs. He owns a 4.42 ERA and a 1.51 WHIP through nine starts (53 innings). He will make his next start Friday at Washington. In his other start of the week on Tuesday, he struggled through his worst start of the season against the Rockies.He was chased from the game without recording an out in the fifth inning. He was charged with eight runs on 11 hits, though he allowed just one home run on a night the ball left the yard four times total. He walked three batters and struck out three, while throwing 58 of 92 pitches for strikes. Despite the subpar start, Minor ended up with a no-decision, as the Braves offense also showed up in a 13-10 win. Ian Kennedy (5-8) dropped his second straight decision Sunday, allowing three runs on seven hits and four walks in 5 1/3 innings against the Mets. Kennedy yielded a pair of first-inning runs on Curtis Granderson’s homer and Bobby Abreu’s run-scoring double. His ERA having crept up to 3.72, Kennedy will face the Dodgers on Friday. In his other start of the week Kennedy was riding a three-game winning streak heading into Tuesday’s game against the Phillies, but stumbled en route to a 5-2 loss. Kennedy, who had allowed just four runs during his winning streak, was tagged for five this time around. He surrendered those five runs on seven hits in seven innings of work, while he struck out just three batters and walked none on 106 pitches. Here is a little twist you can add to make your grilled chicken thighs a little more interesting. Start with the normal routine of trimming the excess fat and skin from the thighs and brine them overnight (1 qt water, 1/3 cup salt, 2/3 cup sugar). The next day drain the brine, pat the chicken thighs dry with paper towels and then give them a nice coating with something crunchy! 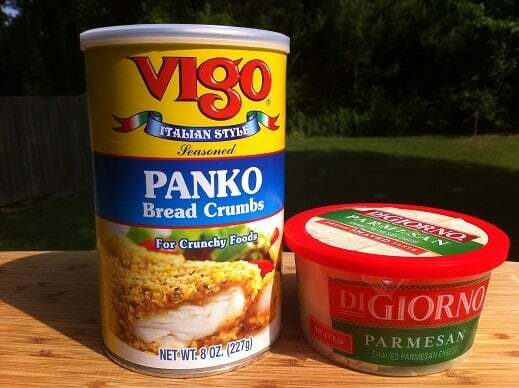 I have been using seasoned Panko bread crumbs mixed with Parmesan cheese and really enjoy the results. 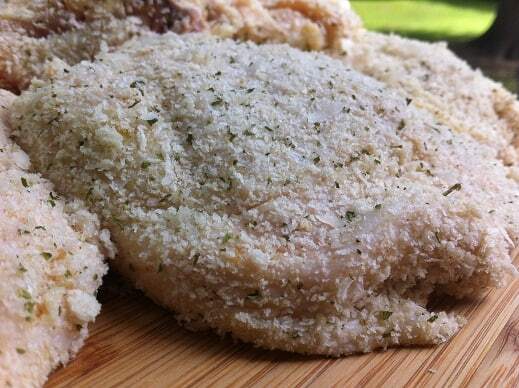 The breading sticks to the thighs pretty easily and they look fantastic! 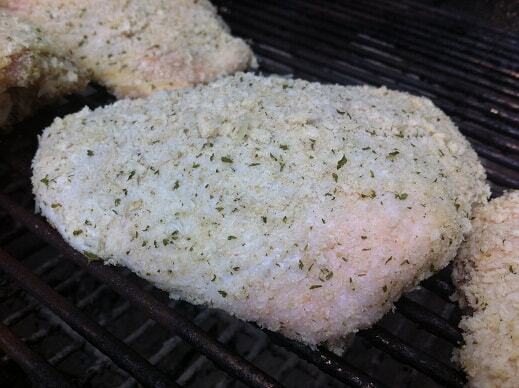 If you grill the chicken directly over the charcoal the breading will burn. Set up your grill with charcoal banked on both sides of the kettle and place the chicken thighs in the middle of the grate (high indirect heat). I ran my Weber kettle around 425F at the dome which got the chicken to an internal temperature of 170F in about 40 minutes. I flipped the thighs at the 15 and 30 minute marks. I ran my Weber kettle around 425F at the dome which got the chicken to an internal temperature of 170F in about 40 minutes. I flipped the thighs at the 15 and 30 minute marks. I probably didn’t need to flip them at all but it kept me entertained. 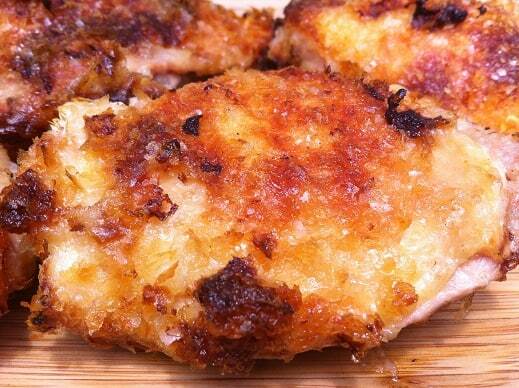 Another breading that works wonderfully is instant mashed potato flakes. 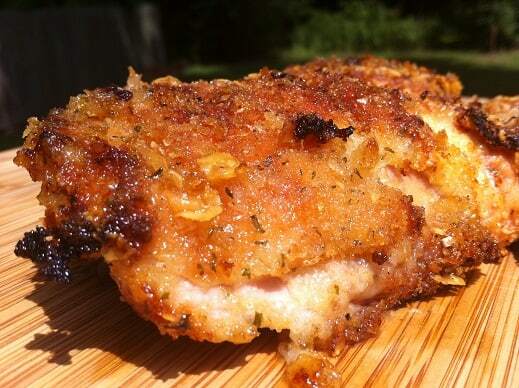 These thighs were breaded with Hungry Jack flakes and grilled the same as the others. The potato crust is simply amazing.